Hampton Bay uses an integrated LED light source to produce the same light as an incandescent bulb using 70% less electricity. Because the LED light source is built into the fixture, there are no bulbs to replace or recycle. These ceiling light fixtures are engineered to save you money, and they are designed to look great. This collection is a modern, elegant style featuring a brushed nickel finish and frosted glass shade that diffuses the light so that there are no shadows or dark spots. These ceiling lights are built with steel to look great and save you money for many years while blending nicely with the decor of your home. Add a touch of class to any room with this handsome flush mount. Features an oil rubbed bronze finish with cafi tint glass. 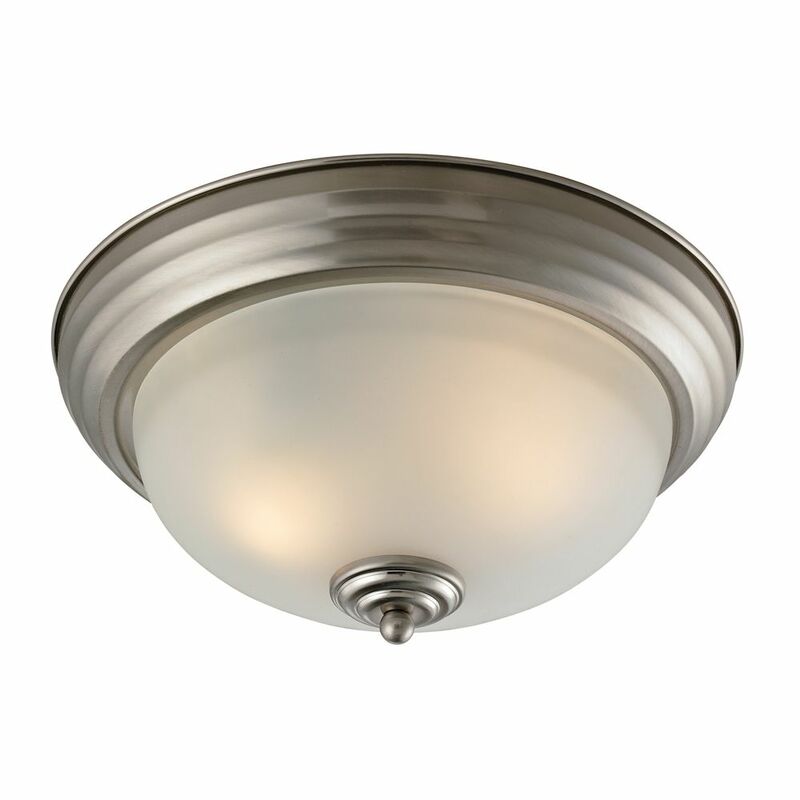 2 Light Flush Mount In Brushed Nickel With Led Option This classic flush mount is designed to fit into any dicor. Features a brushed nickel finish and etched glass.